Mold is a mess that can really damper the homeowner both physically and mentality, but fortunately the mold removal team at 911 Restoration Jefferson County is available 24/7/365 for the most severe mold jobs. Additionally, we have made ourselves available within 45 minutes of any customer that calls us, and we offer same-day service for all emergencies. The mold decontamination technicians here are experts at bringing homeowners a fresh start when they need it most. We guarantee you that today is a thing of the past, and that future is a guarantee for a clear mind. If you are looking for an affordable team that values professionalism, then you have come to right place. Call us, today. Even for a free visual mold inspection. Homeowners are reluctant to call for mold removal services if they discover mold because they are worried about the cost of restoration. It is true that there exists no mold insurance policy, but insurance companies will cover the cost of fungus remediation if it was caused by previous water damage. This why customers need a team such as the one John Fowler, owner and operator of the branch, has. Therefore, it is not enough for us to simply look for mold, it beckons us to also look for the causes of mold. The tools at our disposal are infrared cameras, and humidity detectors. That will allow us to look deeper into areas where mold might be. We will try are hardest to get most of your claim answered by your insurance company. This involves taking extensive documents such as photos to prove to the company that it was indeed caused by water damage. You deserve a team that will fight hard for you, so call our mold removal Jefferson County experts for stress-free living as soon as possible and we can get you right as rain today! The mold removal Jefferson County team at 911 Restoration is IICRC certified. The specific certificates we hold are mold removal, water damage remediation, and odor elimination. All of these make us more than qualified to bust the mold that may be living in your home. We crank out all the bells and whistles when it comes to getting you on a fresh start. The mold decontamination team lines your home with antimicrobial plastic in order to ensure loose mold spores cannot plant themselves elsewhere in your home. Then we set up an HVAC system to create negative air pressure. Our technicians already come with hazmat suits and re-breathers, so the air system is meant to further protect your home. Finally, we carefully remove infested drywall, and hit any non-replaceable structures with sanitizing chemicals to prevent future growth. We replace everything with anti-bacterial material in order to ensure that in the event of a future growth that it is stopped in its track. Moreover, the team is more than certified; we are also licensed, bonded, and insured in order to guarantee you an airtight promise of a stable psyche. With us, there is no room for worry, as we are too busy solving your problems through hard work and dedication. 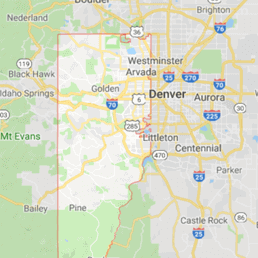 If your home has started to smell a bit musty lately from a fungus infestation, then call our mold removal Jefferson County experts with 911 Restoration of Jefferson County for simply the best there is today! Our crawlspace experts service the entirety of Jefferson County and beyond, offering a free visual mold inspection to property owners. We know that mold can be tricky, so we make sure you have all the necessary information before moving forward. The mold removal team that arrives at your door will ensure you are taken care of by listening to your needs, explaining the findings of our initial inspection, discussing the process of mold remediation, and providing you with the expectations of our mold decontamination service. We always put the customer first and provides a fresh start to all customers. The crawlspace is a popular place for mold growth. It is dank, dark, and traps moisture. This is exactly what mold needs to live. Therefore, crawlspace cleanup is essential whenever mold is suspected. 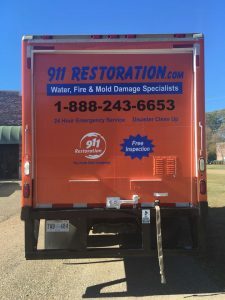 Our mold removal experts in Jefferson County crawl into the hard to reach places to inspect any water damage and look for the presence of mold. 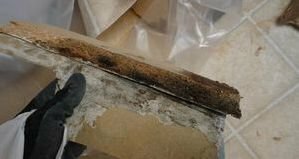 If there is any mold found, our mold decontamination techniques ensures thorough remediation in the crawlspace. Call us for mold removal from a professional company that cares about its customers. 911 Restoration offers a fresh start to all our clients.